Re: What did you get up to today? My son lives in Seattle... his driveway is an hallucination of a goat track... they didn't get out for nearly a week lol - coming from a New England Winter we had a good laugh.. even more so now we bask about in the sun in Florida..
And enjoy your warmth and sun - gloat a lot about wimpy Seattleites complaining about a dusting!! I have had my fill of snow and freezing drizzle this winter, but Jo Ann your view is beautiful if you only didn't have to get out in it. Lynn, let's not gloat. GK our long time OPR volunteer who for health reasons doesn't get on the Forum anymore, used to really rub it in during the winter moths. She too lives in Florida. I know.. I'm totally sick of all the sun we get, the kayaking is getting really grueling and the bird life is driving me nuts...sigh.. oh for a nice freezing rain.. There is a flock of Robins out my back window and light fog! Five days ago we were at 8 degrees at night. 21 degrees for the day. Yesterday it was in the 40s. Ahhhh Oklahoma Spring!! Lynn, I feel your pain. Love the beach shot Athol and enjoyed the winter pics Jo Ann ... especially from down here where there's none of that white stuff! Shadow, all over it's been an odd winter. It's almost over though! The thunderstorms blew through here yesterday and today is glorious. The sun is out and everything is so vibrant. We headed over to one of our favorite ponds to explore. Came across this pair. Beautiful markings. 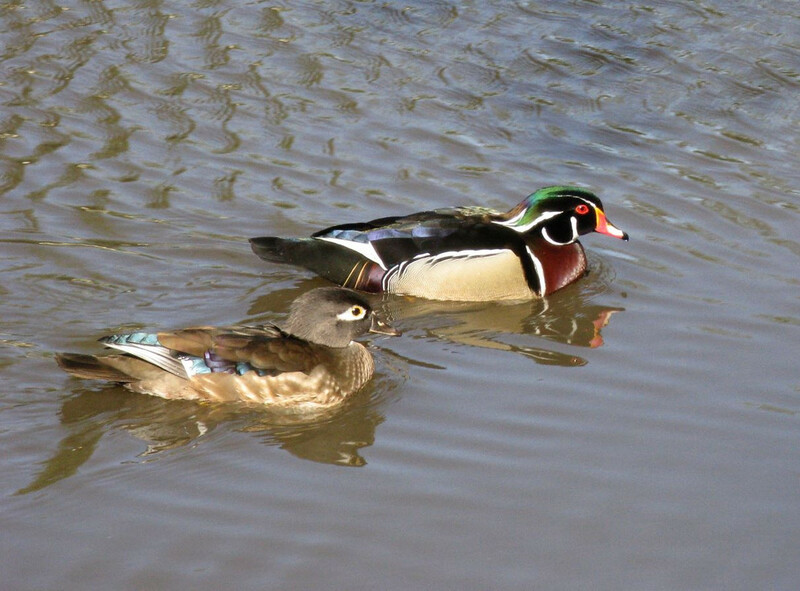 Bet one of you wise ones knows what kind of duck this is ... yes? 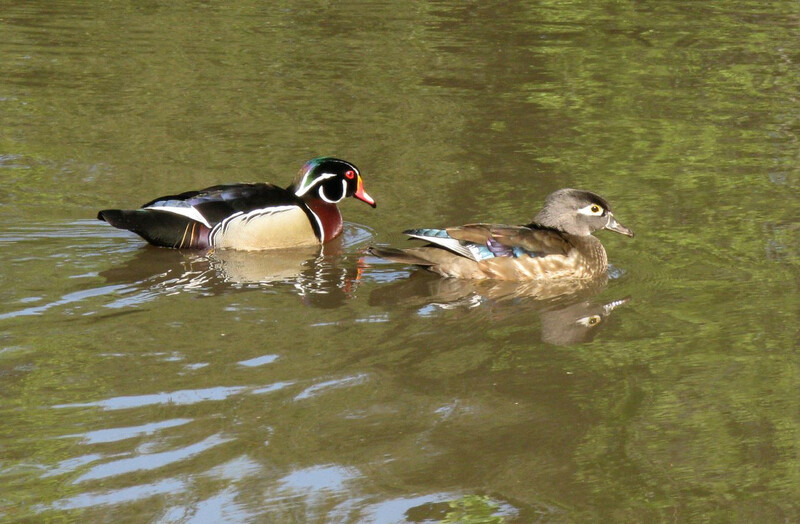 What a lovely couple of Wood Ducks!! Thanks Candy. Now I can go read all about them. 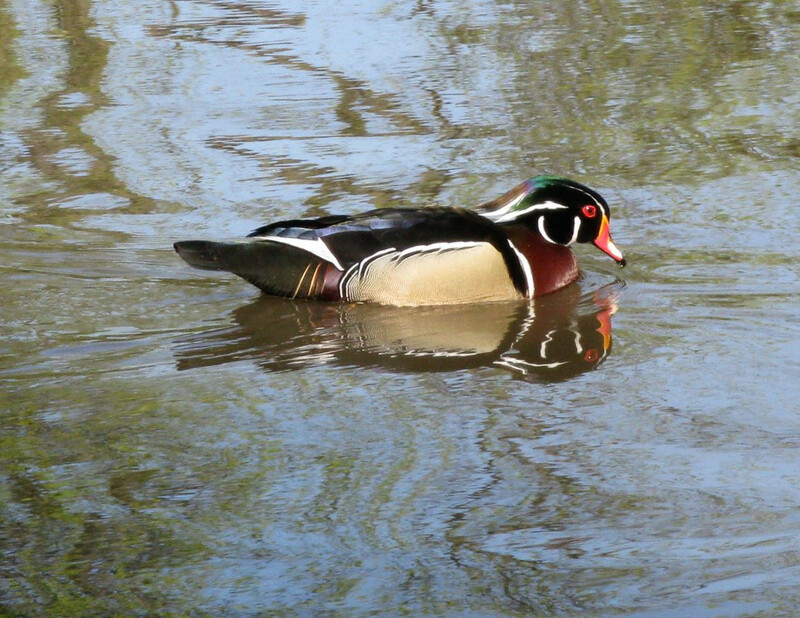 Shadow, what beautiful photos of the wood ducks. I think they are one of the most beautiful, and of course the male gets all the glory. I have the Walnut River in my backyard and back when we had a canoe we would come up on them.